This is a stereo MIX speaker which means you get stereo from one of them. It is ideal for smaller rooms where two speakers in the ceiling is not required. Typically this would be a utility room, a shower, a small bathroom, garage or even small kitchen. There are two tweeters for better dispersion. You run both L and R speaker cables to this one compact speaker. 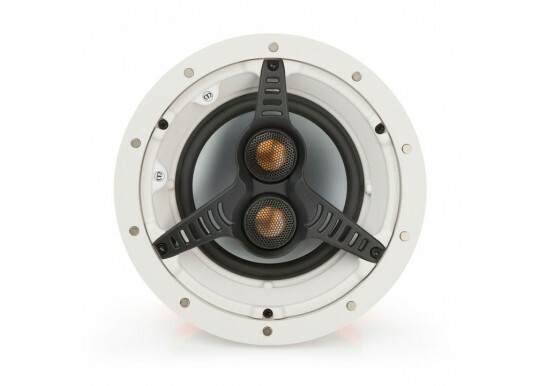 In-ceiling loudspeakers are an ideal solution for getting good sound without the visual impact of conventional speakers. They are capable of good results and are super-discreet. They're white but also paintable and when installed and fitted do not impact on the decor of your room. 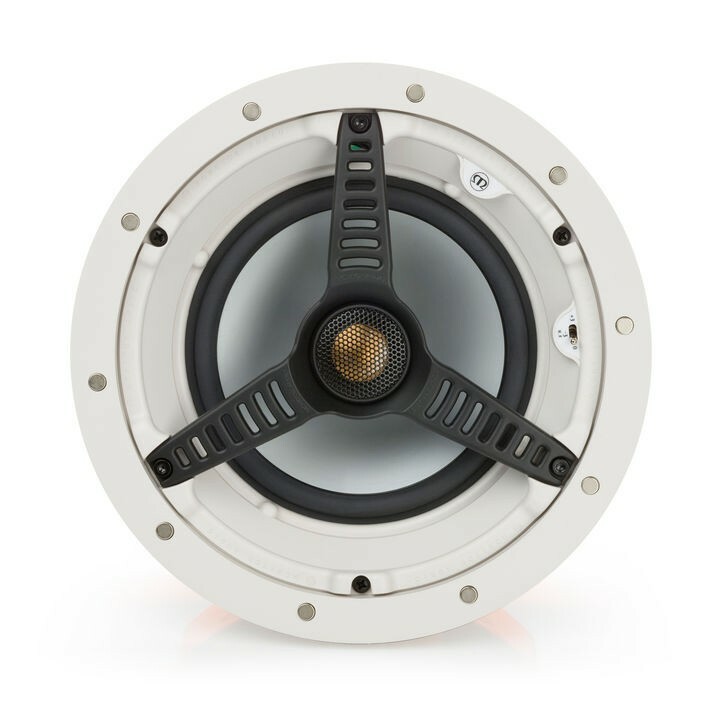 They are also ideal for stereo, improving your TV sound and for 5.1 cinema systems without the fuss of lots of big speakers. In-ceiling speakers are moisture resistant which also means they can be used in kitchens, bathrooms and wet areas. 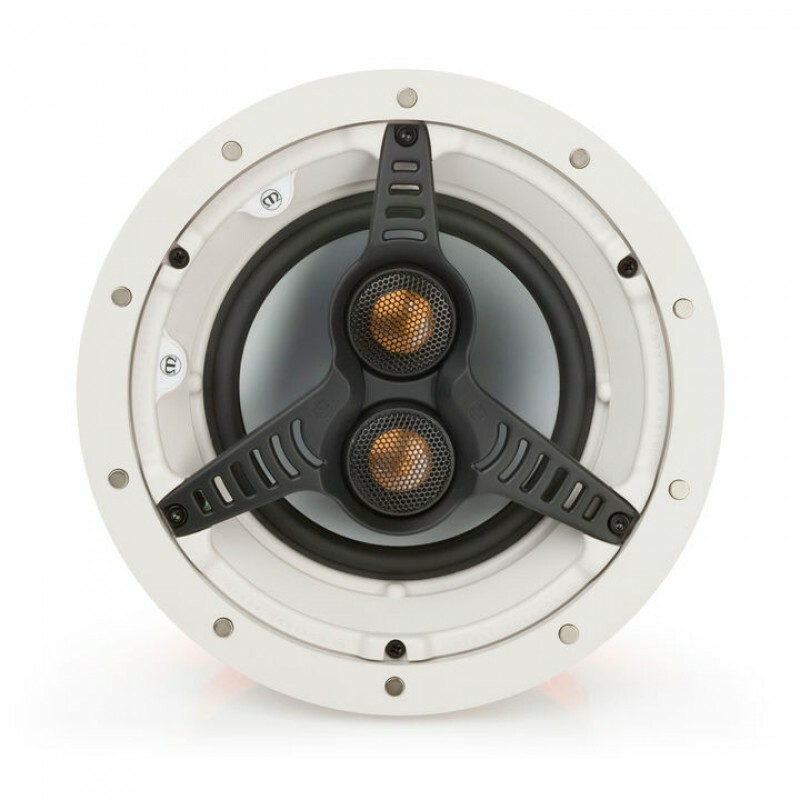 Monitor Audio incorporate the same drive unit quality and build into their in-ceiling range. Incorporating a 6.5-inch MMP®II bass driver with Monitor Audio’s signature C-CAM® gold dome tweeter to provide high performance sound, ease-of-drive, and wide frequency response and dispersion. Optimum imaging and set-up are established via a pivoting tweeter and high-frequency (+3dB / 0dB /-3dB) level adjustment. Easy to fit, paintable and discreet. Delivered by Parcelforce. 28 day return if not satisfied (items must be returned in original packaging and in the same condition they were shipped out in). 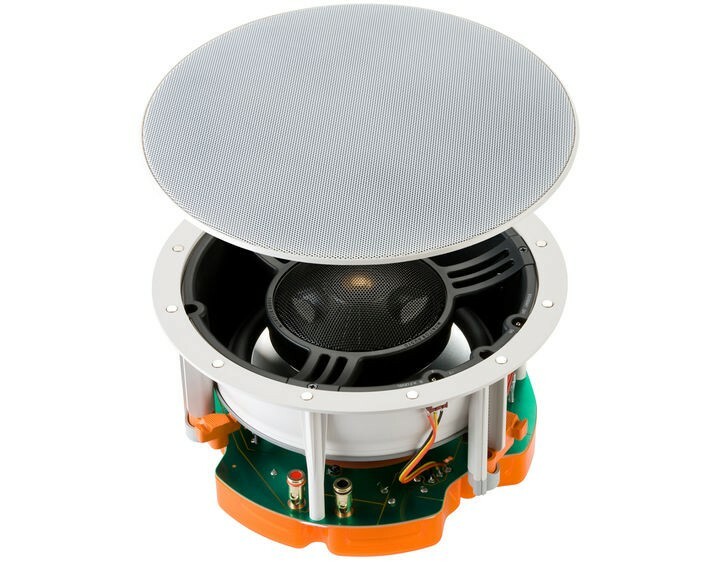 Your Inquiry about Monitor Audio CT-165 T2 Stereo MIX In Ceiling loudspeaker is Successfully Submitted.